When Southwark Council went public last week on its plan to cut down a wildlife area containing dozens of trees to build a replacement for Seven Islands leisure centre, it said there would be time to lobby it before a decision was made on its preferred site. Specifically, it said that there would be “five clear working days” between the publication of the report outlining its preference and the taking of a decision, which was entrusted to Mark Williams, a councillor who is cabinet member for regeneration and new homes. It also confirmed that this meant that the decision would not be taken before Thursday August 13. I am writing to invite you to a meeting to discuss my decision, as Cabinet Member for Regeneration and New Homes, to agree that the site shown on the reverse side of this letter is selected as the council’s preferred location for a new public leisure centre for Canada Water. So the decision has already been taken. Even in the context of the woefully inadequate consultation that has gone on before, this is breathtaking. 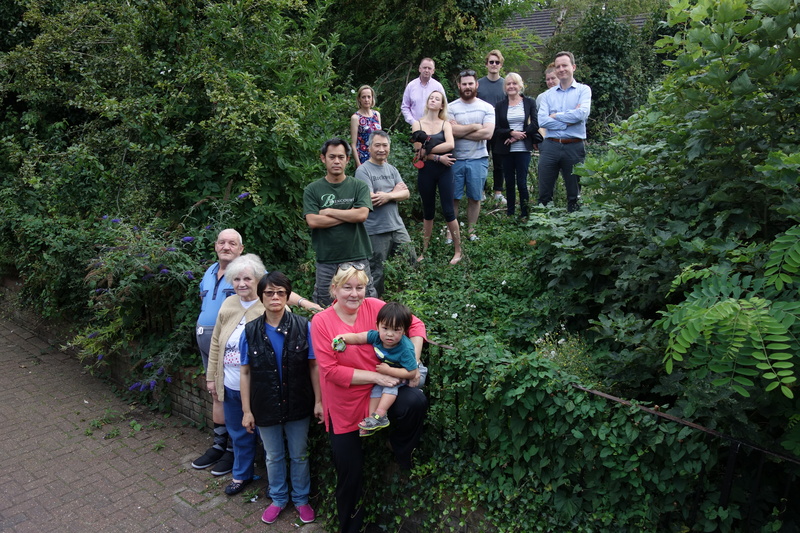 The Canada Water West Residents Action Group has received great support in recent days after it revealed the damage that will be done to the local environment and local homes by this hasty process. Please email Mark Williams (mark.williams@southwark.gov.uk) and your local councillor to comment on the plans and register your opposition. Update August 11: we are hearing that it is still important for as many people as possible to email Cllr Williams before 5pm August 12 laying out their concerns about the plan, its impact on them, and the adequacy of consultation – please don’t miss the deadline! This entry was posted in Uncategorized and tagged Birds, British Land, Canada Water, Canada Water Masterplan, Canada Water West Residents Action Group, Mark Williams, Seven Islands Leisure Centre, Southwark Council, Surrey Quays, Trees, Wildlife. Bookmark the permalink.